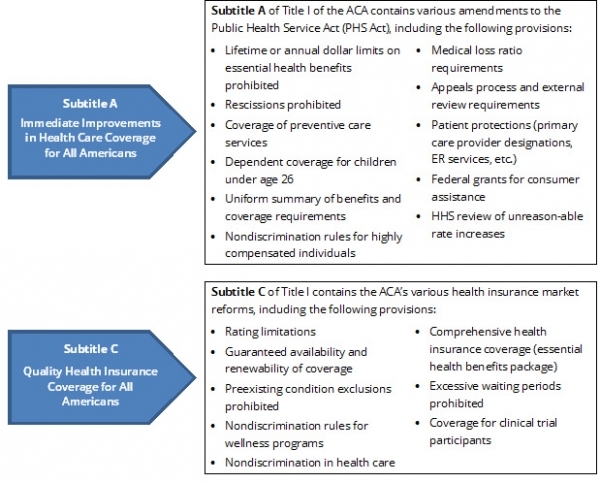 The Affordable Care Act (ACA) includes many changes related to health care coverage. To assist in implementing these changes, the Departments of Labor, Health and Human Services and the Treasury (Departments) have been issuing a series of guidance in the form of frequently asked questions (FAQs). On March 8, 2013, the Departments issued an FAQ that provides transition relief for expatriate health plans with respect to certain ACA provisions. For purposes of this temporary transitional relief, an expatriate health plan is an insured group health plan with respect to which enrollment is limited to primary insureds who reside outside of their home country for at least six months of the plan year and any covered dependents, and the plan's associated group health insurance coverage. Coverage provided under an expatriate group health plan is considered a form of minimum essential coverage. Any reporting and disclosure obligations under ERISA Part 1. Expatriate health plans may require additional regulatory approvals from foreign governments and, in some circumstances, it is possible that domestic and foreign law requirements conflict. As a result, for expatriate plans with plan years ending on or before Dec. 31, 2015, the Departments will consider the requirements of subtitles A and C of Title I of the ACA satisfied if the plan and issuer comply with the pre-ACA version of Title XXVII of the PHS Act and other applicable law. In a separate set of FAQs, the Departments announced a limited non-enforcement policy for expatriate plans with respect to the summary of benefits and coverage (SBC) requirement. They acknowledged that expatriate plans may experience administrative challenges and costs in preparing SBCs (for example, due to distinct benefits and claims systems). As a result, the Departments stated that they will not take any enforcement action against a group health plan or group health insurance issuer for failing to provide an SBC with respect to expatriate coverage during the first year that the SBC requirement applies. The Departments plan on gathering further information and continuing to analyze these challenges to determine what actions may be appropriate regarding the current requirements under the ACA. The Departments request comments on and information about the unique challenges that expatriate health plans may face in complying with the ACA, including information about which particular types of plans face these challenges and with respect to which particular provisions of the ACA. Comments are due by May 8, 2013, and can be sent to e.ohpsca-expat.ebsa@dol.gov.